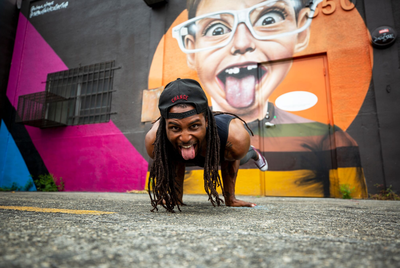 Derrick "DJ" Townsel, a former NFL athlete, is now an Orlando-based personal trainer, health coach, and yoga instructor. Born and raised in Miami, Florida, Derrick was extremely athletic throughout his childhood and adolescence. His God given talent compelled with all of his hard work and tenacity propelled him to a full scholarship playing football at Murray State University as a 4-year starter, and then on to the NFL with the Houston Texans from 2010-2011. Following his time with the Houston Texans, 2 other NFL organizations and 2 other professional leagues (AFL and CFL), Derrick found his passion helping others realize their physical and mental potential through personal training. Inspired by amazing individuals on Instagram, Derrick began practicing yoga in 2012. Not entirely comfortable practicing in public at the time, Derrick became a self-taught yogi in the middle of his living room. He followed online sessions and studied the physical, mental, and spiritual aspects and history of yoga. Derrick has now become an inspiration to thousands who didn't think a passion for fitness or yoga could be a possibility for them, mainly men and people of color. Derrick is now a sought-after 200-Hour Certified Yoga Instructor, Acrobatic Yoga Instructor, Certified Personal Trainer, and Level 2 WCO Calisthenics Instructor in Central Florida. 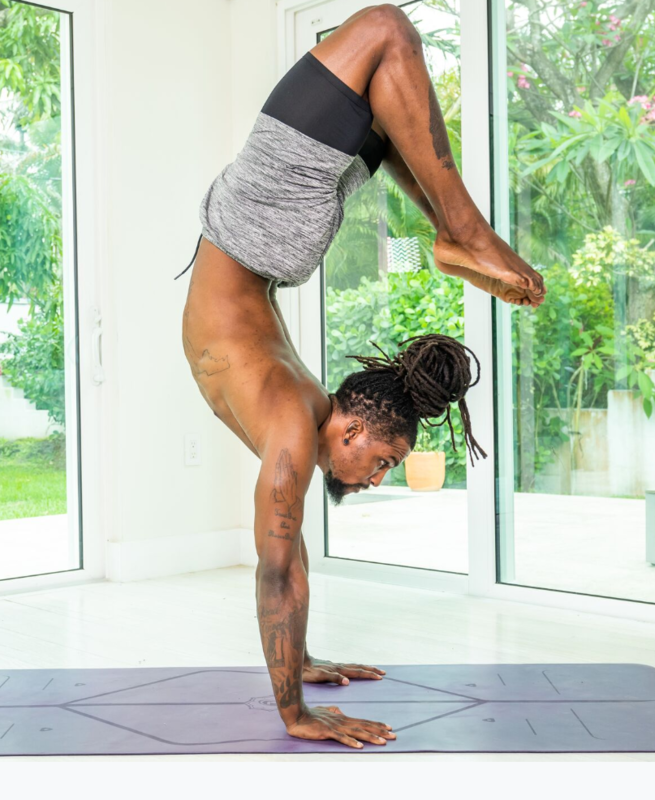 Channeling his West Indian ancestry, always listening to Bob Marley while he practices yoga, and his signature crown of locked hair, Derrick has become known to the yoga community as the "Rasta Yogi". Remembering where he was born (Miami, FL) and where he spent 6 years of his adolescence (Memphis, TN), Derrick Townsel uses the name "Dade2Shelby" to always remind him of where his journey started.